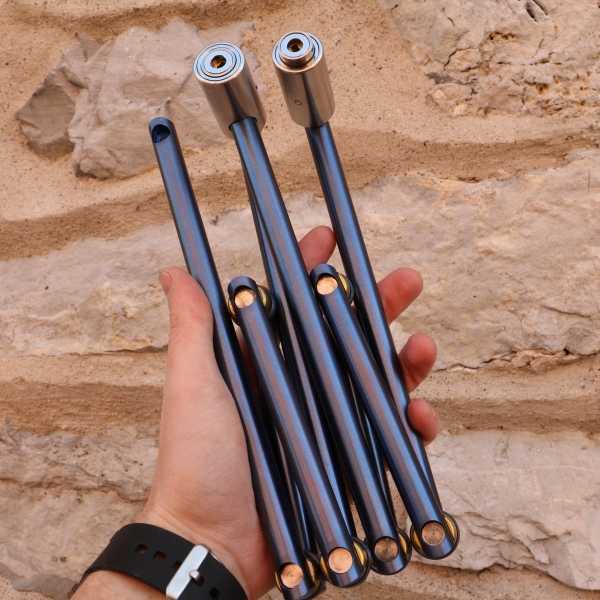 The titanium Altor 560G bicycle lock combines light weight with heavy-duty strength so environmentally proactive commuters can keep on going green. Truth be told, bicycling in the city ain’t always pretty. 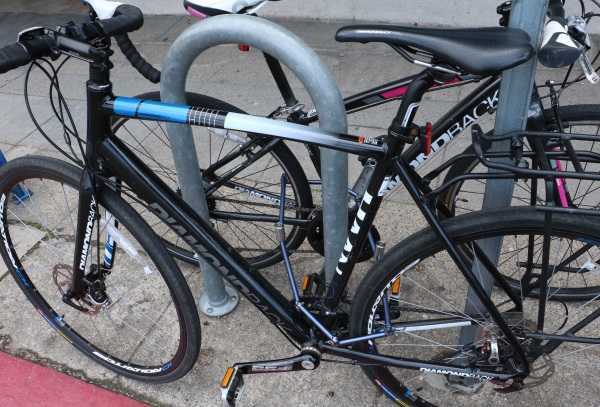 Urban cyclists must compete with cars and trucks just to get to where they’re going; then hope against hope their oft-pricey two wheeled machine is still safely locked when it’s time to go home. So, like, “get a bigger (and heavier) lock,” right? Wrong: traveling light is the key to commuting success. 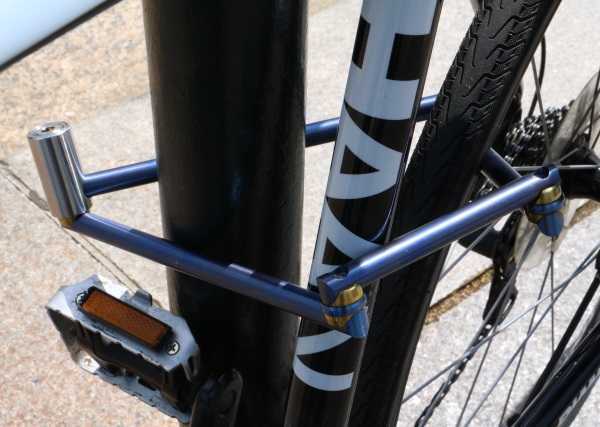 A startup firm named Altor feels cyclists’ pain and their all-new 560G bike lock hits bike thieves where it hurts. 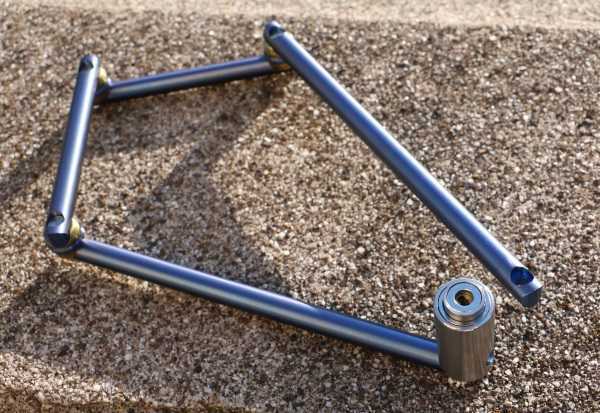 The 560G is a lightweight, high-security bike lock made from exceptionally hard Grade 5 titanium. Tough as it is, the lock only weighs 560 grams or 1.23 pounds. While the use of advanced aircraft-quality materials is a strong point in the 560G’s favor, the team at Altor combined the security of materials strength with a surprisingly user-friendly design. When not in use, the lock folds up into a compact shape that conveniently fits into a carry bag or clips onto a belt. 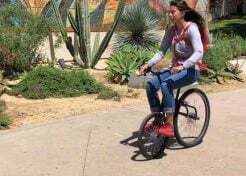 When it comes time to lock your bike, the 560G’s innovative lock mechanism makes securing your bike as easy as pushing a button!